Will the corrupt Hungarian dictator run like this, too? 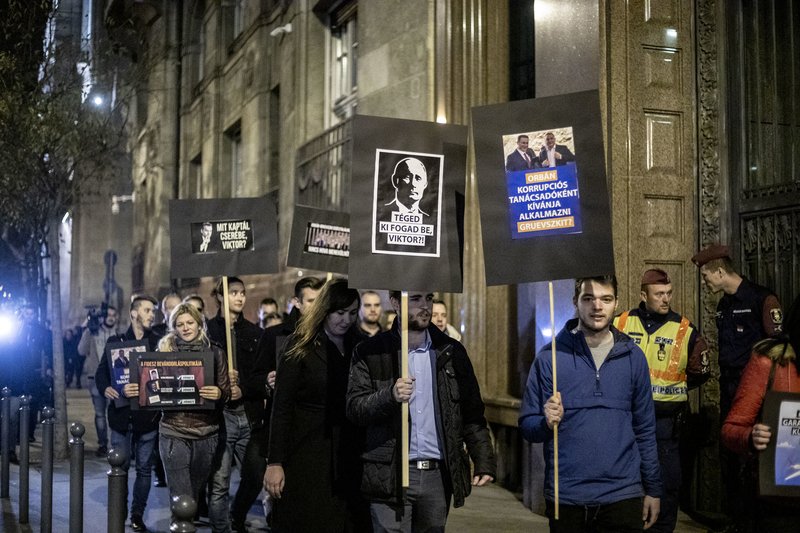 Jobbik held a flash mob in front of the Ministry of Interior Affairs, demanding “Orbán scram and take your corrupt pal”. Jobbik’s vice president Tibor Bana briefly addressed the participants of the event. He said he was outraged that the Orbán government granted asylum to Nikola Gruevski, a Macedonian politician convicted for corruption. He called it typical how Viktor Orbán shrugged off the whole affair by telling journalists to ask the lawyers how the fallen ex-PM could get across the border without a passport. Mr Bana noted that Nikola Gruevski must have had a reason to choose Hungary as his escape route. Jobbik’s politician believes Mr Gruevski is a political comrade of the Hungarian Prime Minister and may have business relations with him as well. The MP raised the question which he thinks are asked by all honest people nowadays: “Will the corrupt Hungarian dictator run like this to another country before he could be held to account?” He made a public promise to the Prime Minister that Mr Orbán was going to face all the people who dare to express their opinions and Jobbik’s leaders will be in the front of the line to do so. Mr Bana also shared his concern that Mr Orbán gathered these people around him to develop a corrupt network which would tap into EU monies, causing financial damage to the Hungarian people. Reflecting on the report that the Macedonian politician might only be using Hungary as a transit station toward his real destination, Mr Bana told Alfahir.hu that Mr Gruevski only seemed to have considered dictatorships as a hiding place from the law and Hungary was just half way on the road to a dictatorship. 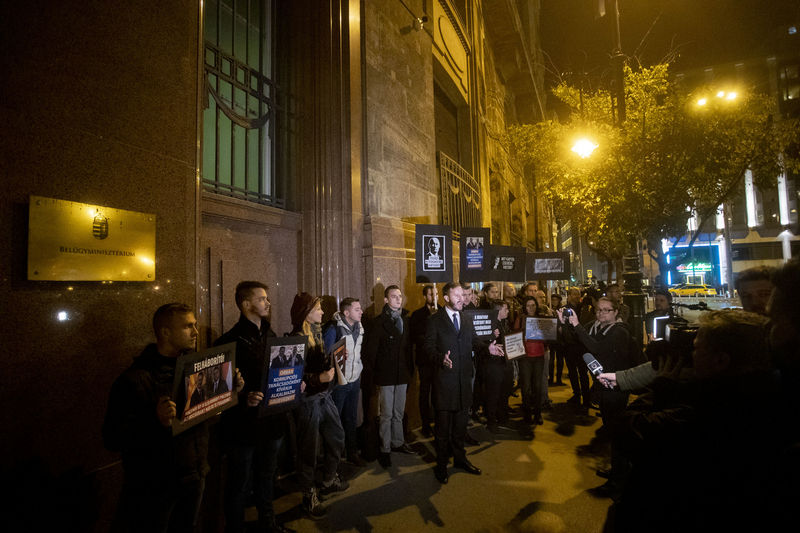 Beside Tibor Bana, Jobbik’s parliamentary faction was represented by János Stummer, Gergely Farkas and Tamás Pintér in the flash mob.